Ed Grooms serves as Vice President, Project Management Office for HealthSCOPE Benefits. He brings over 30 years of experience in the life and healthcare insurance industry. 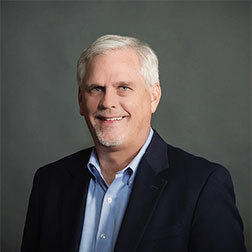 Ed’s responsibilities include formalizing and implementing structures around key strategic initiatives as well as overseeing facility operations for the Nashville office. Ed has been with HealthSCOPE Benefits for 19 years. Ed’s leadership and project management skills enable HealthSCOPE Benefits to efficiently execute on the top strategic initiatives of the organization thereby enabling company growth and service excellence to our customers.